BLU is a company known for offering low priced Android smartphones, who is now joining the lineup of Windows Phone manufacturers. The Florida manufacturer recently claimed sales of 10 million Android phones and Microsoft would love to see that success translated to Windows Phones in the future. 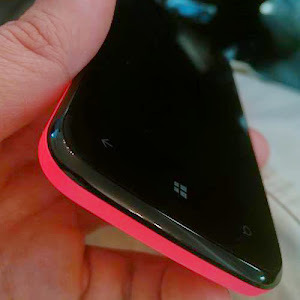 BLU has posted a teaser of its new Windows Phone on its Facebook page with the caption "Sneak peek... What's this I see, that's different from the others?" The pictured handset looks similar to the the BLU Dash 5.0 which features a 5 inch LCD display with a 480 by 854 pixel resolution and is powered by a 1.3GHz dual-core processor with 512MB of RAM. The Dash 5.0 can be purchased on Amazon for around $129 . While BLU has not revealed the specs of their Windows Phone, its likely going to compete with devices like the Nokia Lumia 520 and the Nokia Lumia 630. Microsoft has removed the licensing fees for Windows Phone 8.1, and at the same time, has lifted hardware requirements except for the use of a Qualcomm processor. Microsoft also launched a portal site recently, designed for wannabe low-cost Windows Phone producers.